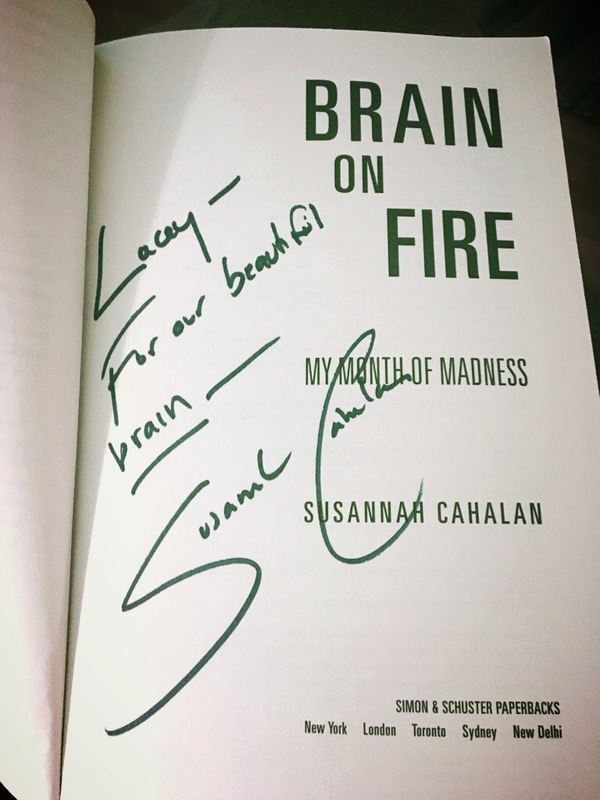 I had the honor of meeting Susannah Cahalan in 2013 and was lucky to hear her story first hand. This is one of my favorite books because it is beautiful in its own right. Our brain is a magnificent, complex organ and when it turns on us it changes everything. Susannah was 24 when she first felt like something was wrong. She had a good job at The New York Post as a writer and was in her first serious relationship, least to say things were on the right track. When she woke up in the hospital, chained to a bed with “flight risk” on her arm, she knew something bad had happened. This book truly is a must-read. It is upsetting and scary but being aware of our own bodies is incredibly important. 252 pages of nonstop mystery makes this story fly by. It took me two days to read this book. I give Brain On Fire 4.5 out of 5 for being brutally honest, wonderfully written and most of all, informative to all. Please comment with your thoughts after reading this novel!